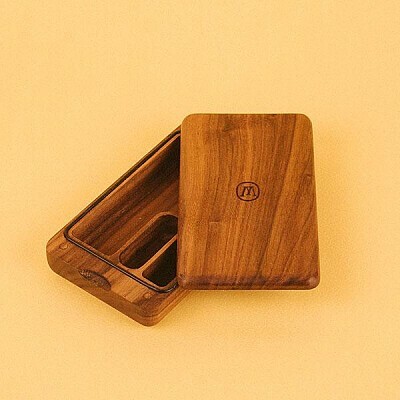 With a compact and multi-purpose design, our black walnut wood Small Case is a classic essential for protecting and housing your herb and lifestyle accessories. Its tasteful, soft-edged form is highlighted by a uniquely engineered slide-top system, complete with a universal silicon inner seal that allows for convenient access and maximum utility. Discreet, portable, and stylish, you can take it anywhere and use as desired.